Water Damage In House, Prevent, What Does Home Insurance Cover? Water damage is one of the last things you want to find in your home. No one wants to come home to a flooded basement or other water issues. It can be difficult to repair, and it can result in a costly repair bill or home insurance claim. Unfortunately, water damage is one of the most common forms of damage to homes. Did you know that water damage makes up the largest percentage of claims homeowners make on their home insurance? Water damage claims and costs continue to rise because of the increased number of severe storms in Ontario and across Canada. Claims are also rising because many homeowners are renovating their basements – changing them from unfinished storage areas to dens, income suites, or entertainment areas for their families. To make sure that your home is adequately protected, and to save you the hassle from filing a house water damage claim and going through the process of cleaning up your basement after water damage, it’s important to be proactive about protecting your home from this all too common issue. We’ve put together the following guide to help you understand the types of water damage, common areas where issues arise, prevention tips, and information about water damage home insurance coverage for Ontario homeowners. Overland Flooding : Rising water levels outside your home. Sewer Backup : An inability of the municipal water systems to cope with water runoff. A standard home insurance policy generally does not include protection from sewer backup. You will need additional coverage on your policy. 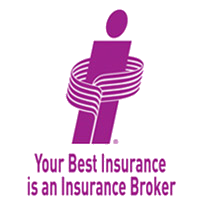 Review your policy or speak to a broker to confirm that you are covered. 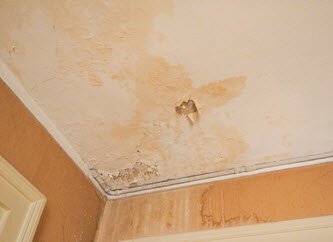 If you have water damage, then there is a good chance you may also have mold, and it’s not something to mess around with. If you suspect mold, have it addressed immediately. Talk to your insurance company about your options for an insurance claim for mold. Plumbing : A common source of leaks from old pipes, hot water tanks, toilets and faucets, or poor workmanship. The Roof : A leak in the roof can create water damage in multiple areas of your home. 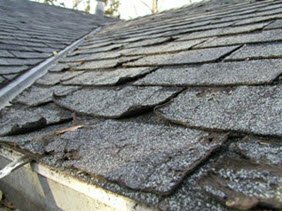 Make sure you keep your gutter clear to allow for proper run off, and check your roof annually for damaged shingles and other possible areas where water can get into your home. Sump Pump : A sump pump malfunction could cause water levels to rise and get into your basement. Drains : Basement drain clogs, left unaddressed, can cause water to get into your home. Check them annually. Basement : One of the most common areas of water damage, you could experience basement flooding, water could get in through a crack in the foundation, and other sources. Even though water damage is a major threat, there is also a lot you can do to reduce the risk have having water damage issues. It starts with regular maintenance, and water damage prevention continues by being vigilant. 1. Eaves : Keep your eaves troughs and downspouts clear of leaves and other debris. 2. Property Grading : Get your land properly graded if you see water pooling around your house. 3. Downspouts : Have downspouts that extend well away from the outer walls of your home. 4. Foundation : If you find water leaks in your basement, find the problem and have it repaired. Your foundation may also need repairs, so it’s a good idea to have it inspected. 5. Window Damage : Repair cracks in windows or sills right away before they become an even bigger issue. 6. Sump Pump : Install a sump pump. Hook it up to a generator so you can operate in the event of a power failure. Perform regular maintenance annually. 7. Backwater Valve : Install a sewer backup system (backwater valve). This is a sensor that triggers a balloon to inflate when water begins to flow back into your household system. Once the water subsides, the balloon deflates allowing water to flow out to the municipal system. 8. Winterize : If you have a seasonal home or cottage, drain your water pipes and turn off your water before freezing sets in. 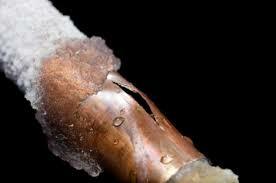 Frozen pipes that cause water damage are usually not covered by home insurance policies. Also, don’t forget to shut off the valves for outdoor taps at home before freezing sets in. 9. Roof : Keep your roof in good repair – if you notice issues or it’s time to replace it, do so in a timely manner. 10. Basement : If you are turning an old basement into a living space, seal the exterior wall. An added expense but worth it if you create an entertainment space downstairs. 1. When You Are Away : If you go away for more than a weekend, make sure that you have someone who will check in on your house. If you are concerned about water or pipes, you can shut off your water. 2. Heavy Rain Storms : After a big downpour, inspect your property for water and where it might be pooling. Make plans to correct the problem. 3. Appliances : Only use the dishwasher and washing machine when you’re going to be home. 4. Hot Water Heater : Keep an eye on your hot water heater tank – particularly as it ages. Think about replacing it after 10 years. 5. Doors and Windows : Check that all doors, windows and openings in your home are properly sealed and caulked. 1. Mold : This is a telltale sign that water damage may be present in your home. If you see mold, have a professional take a look. It’s also is a sign you should start looking for the source of the issue, if it is not apparent. 2. Dampness Smell : If you can smell dampness, you likely have water getting into your home somewhere. Identify the area where the smell is the strongest – this is likely the source of the water damage. 3. Dripping Sounds : If you commonly hear the sound of dripping or water flow, especially behind or below the walls of the bathroom or in the basement, there is a good chance water is getting in or you have a plumbing issue, such as a leaky pipe. Also keep an ear out for other uncommon sounds, especially after running water. 4. Growing Water Bill : If you notice your water bill going up without an increase in usage, there is likely a water issue at play. 5. Peeling and Cracking : Cracks and peeling paint are a sign of moisture build up. If you notice a brownish color or stain, water could be pooling in the ceiling or wall. 6. Swelling : Have you noticed baseboards or flooring starting to swell or warp? It’s a sign that water is getting in. Which Types Of Water Damage Are Covered By Homeowners Insurance? Your home insurance will cover some water damage, but not all of it. It’s important to make sure you have the proper amount of coverage for water damage, and don’t make assumptions about what is and is not covered. All insurance companies’ coverage for water damage varies. You can add other water damage protection inclusions (riders or extensions to your policy). Whichever home insurance coverage you opt for, we strongly recommend that you read and understand the exact water damage protection your home insurance will provide you. You don’t want to be surprised! Your home insurance policy will cover you for any unexpected and accidental events – including a water event. For example, if a water pipe suddenly bursts, this would be considered unexpected and accidental. Your home insurance will cover you for your loss. In some cases, water seepage may also be covered. If you can prove that your house flooded as a result of roof damage in a storm and it had been recently replaced, you would be covered by your policy. Always remember that some of these coverages (sewer backup, for example) are optional. This means you will need to get extended coverage. Make sure you know what your home insurance policy does and does not cover. You need to review your policy or speak to your broker for details if you are uncertain. It’s important to be aware of the water damage your home insurance policy does not cover. You have a responsibility to keep your home and property well maintained. This means you must take consistent action to ensure that water cannot come into your home because of clogged eaves troughs or downspouts, a faulty septic system or pipes in your home. It also means that your insurance policy won’t cover you for this kind of water damage if it is a result of an unresolved maintenance issue. If you leave your water on when you are away from your home for a prolonged time and the pipes burst or freeze, you may not be covered for the loss. As the homeowner, you have to think about ways to minimize the risk of damage from water. Most home insurance policies will not cover the source of the water damage – for example, a faulty hot water tank – but it will cover the costs to replace the damage caused by the hot water tank. 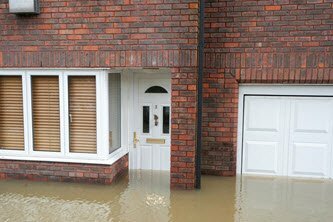 Overland flood damage and resulting basement flooding is not covered by standard home insurance policies. You will need to purchase additional overland flood insurance coverage. Home water damage restoration is best left to the professionals. When you notice water damage, the first thing you should do is notify your home insurance provider. Do not do anything until you are instructed by your insurance company. In most cases, they will send someone out to your home to assess the damage and determine the best course of action. The water damage insurance claim process is similar to filing a claim for other house insurance claim issues. Call your insurance provider right away if you have water damage. They will ask you to describe the reasons for the water damage, and depending on the severity of the water damage and situation, they will provide you with instructions for how to move forward. Every home insurance policy is slightly different. With each policy, there will be certain conditions, restrictions and exclusions. Your specific insurance contract determines your exact coverages. Read it carefully and thoroughly for a complete description of coverage and exclusions, and consult with a home insurance broker. As a homeowner, you have two important responsibilities. First, you have to regularly maintain your largest financial investment. Your other important responsibility is to ensure that you are adequately covered with home insurance. Be sure that you understand your existing home insurance policy. Regularly review it to confirm that you have proper coverage to meet your financial and housing needs. Our Home Insurance Brokers Are Here To Help! If you have questions about home water damage in Toronto, the GTA, or anywhere else in Ontario, our brokers are here to help. We can answer your questions about water damage insurance coverage, policy options, how to file a claim, and more. Compare home insurance quotes online OR call us toll-free 1-855-550-5515 and a ThinkInsure home insurance expert will be happy to help you.